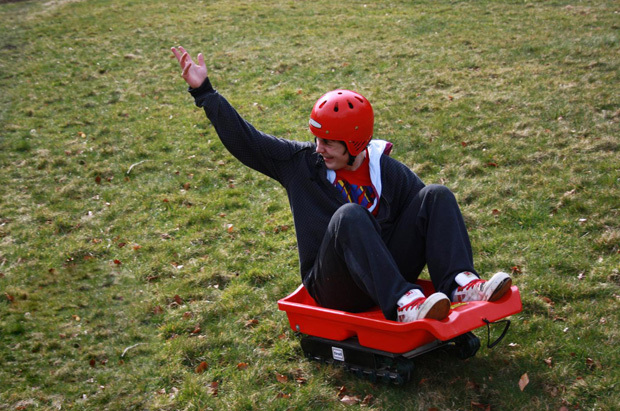 This fun activity will see you sledging down the grass slopes of Larch Hill assisted only by gravity. You will have lots of chances to build up your confidence and even have races down the hill. You will have lots of chances to build up your confidence with multiple opportunities to perfect your new skill. Ensure you keep your legs in the sledge at all times. Ensure you keep a firm grip of the brake handles. Ensure you wear a safety helmet provided. Avoid collisions with other sledges.